Quintessential and classy, our wide selection of fresh English, Columbian and Dutch roses will have you spoilt for choice. Whether you want red, white, pink, yellow or even psychedelic multi-coloured, we have all the bases covered. All you need to do is go online, pick up the phone or come in to our shop and we have arrange single roses or bouquets that will take your breath away. It is estimated that the roses have roots going back about 35 million years, and through time roses have evolved into the most favoured flower in possibly the world. Along with the cultivation of this mesmerizing flower, which was around 5000 years ago, began the cultivation of many stories involving the roses. In the ancient Greek and Roman times the roses started to become more precisely the symbols of love and beauty. Which is possibly why it was sacred to a number of goddesses like Isis and Aphrodite, as well as being used as a symbol of the Virgin Mary. Nowadays a bouquet of red roses is often used to show true love. In the UK, as well as in many other countries, roses are a main Valentine Day gift. The rose is also a national flower of England and the United States and roses are also used as an emblem of the Rugby Football Union. Proper rose care is absolutely essential, if your roses flower gift is to remain as beautiful and fresh for as long as possible. And though your favourite London florist will make sure that the roses delivered are always fresh, roses should never be left without water. Changing the water regularly and using a clean vase will help, as it gets rid of a lot of bacteria that harms your roses. 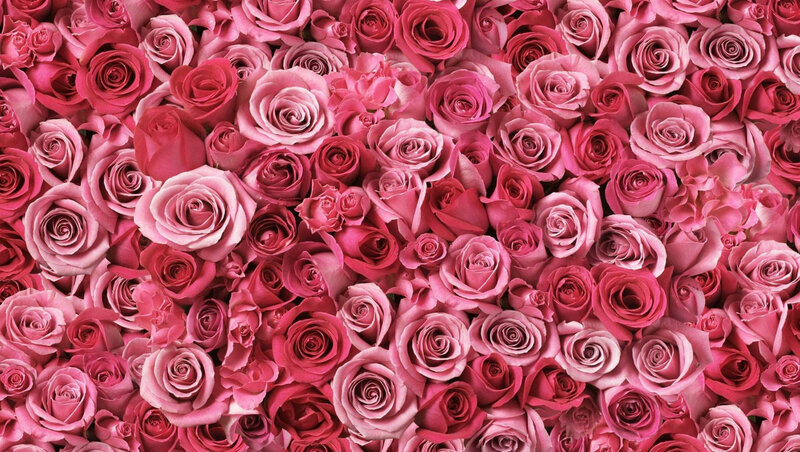 When putting the roses back in the water remember to slant cut the stems, as this unclogs the pores and enables the flower to bring in more nutrients. Cut flower food is also essential as it provides the extra nutrients in water that will further help nourish the rose and prolong its vase life. Should you wish to order roses from us, you can rest assured your roses will be fresh and beautifully arranged. You can choose from roses gift wraps to roses bouquets or even our lovely roses basket designs. All roses are available for same day roses delivery or next day roses delivery. Sending rose made easy whatever the occasion. Here at Flower Station we offer all different varieties of roses and colours of roses, be it pink roses, yellow roses, blue roses, red roses, orange roses, we have them and should you not be able to find the ideal roses gift on our website then why not give us a call and we will be more than happy to help. Roses delivered with care and quality guaranteed. Cheap roses delivery by Flower Station. Your favourite florist. Q. Is it possible to deliver to funerals? A. It is certainly possible to deliver to funerals and we can arrange wreaths or hand-tied bouquets to be delivered to a funeral house or cemetery. We take the upmost care to deal with any funeral arrangements with the appropriate dignity and professionalism. Q. Can I have flowers delivered to a hospital? A. Most hospitals accept deliveries of flowers. Please endeavour to give us as much information on the delivery address, for example, the ward and wing of the particular hospital to aid our drivers in the delivery process. received 12 red roses for my partner and was delighted with them. Lovely scent and rich, velvety petals. Really glad they made it with no complications. Confident of the service – would buy again. Classic roses did not disappoint. Paid extra for the long stemmed flowers and glad I did. Spectacular. Struggled to find a reliable florist in the past but my search is over!